This was a Christmas gift for my mother in law, and she absolutely loved it. 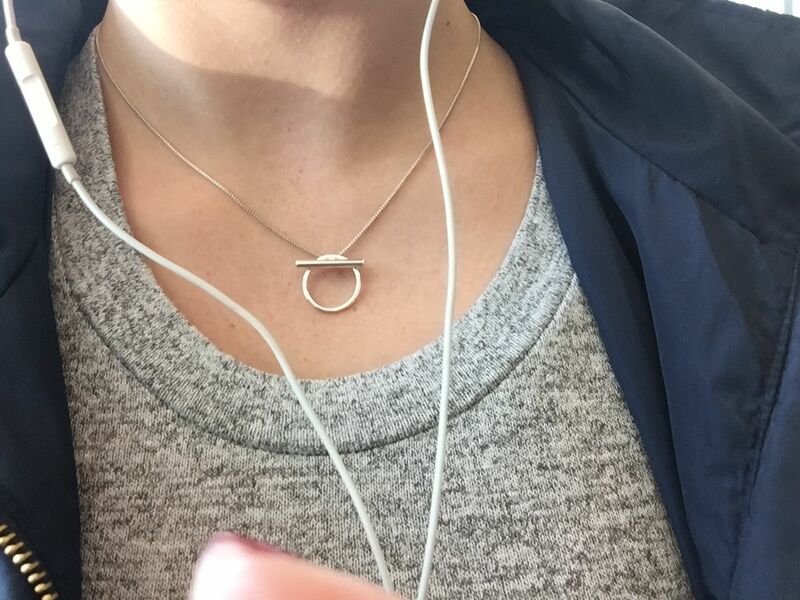 she has a very minimal and clean style but adored that the design of the pendant was unique. I placed the order online from my cell phone, and the necklace arrived two days later. The Rhye Pendant is perfect in every way for every day! Exactly what I was looking for as a go to piece. It was exactly what I was looking for! The pendant is perfect for an every day wear necklace. Definitely going to buy the matching bracelet!